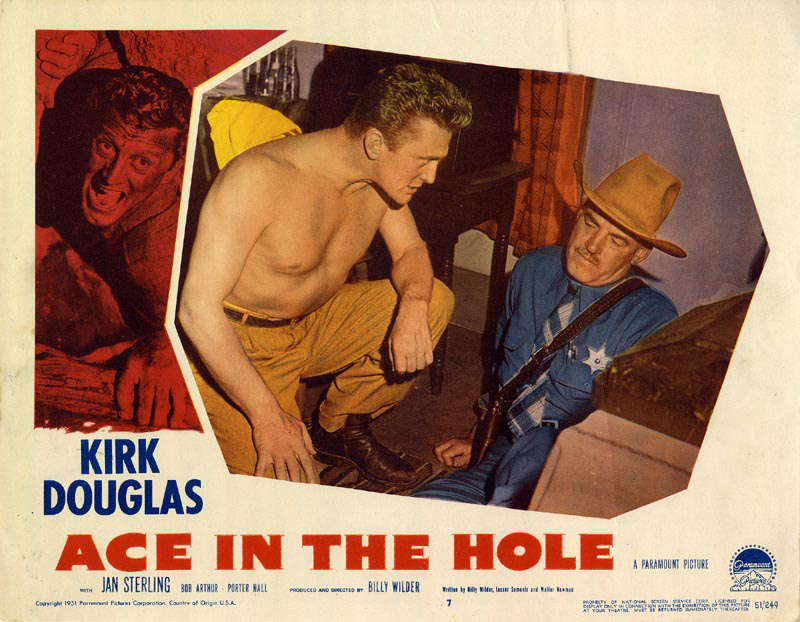 Also known as "The Big Carnival"
Paramount, 1951. 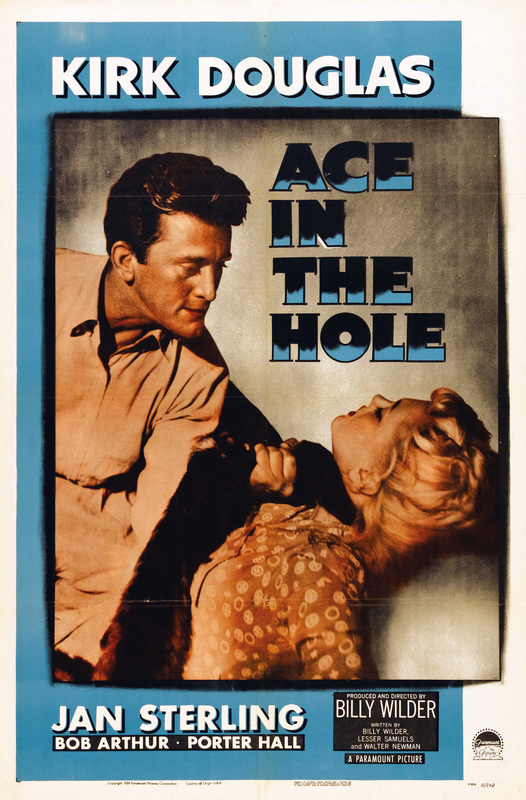 Directed by Billy Wilder. 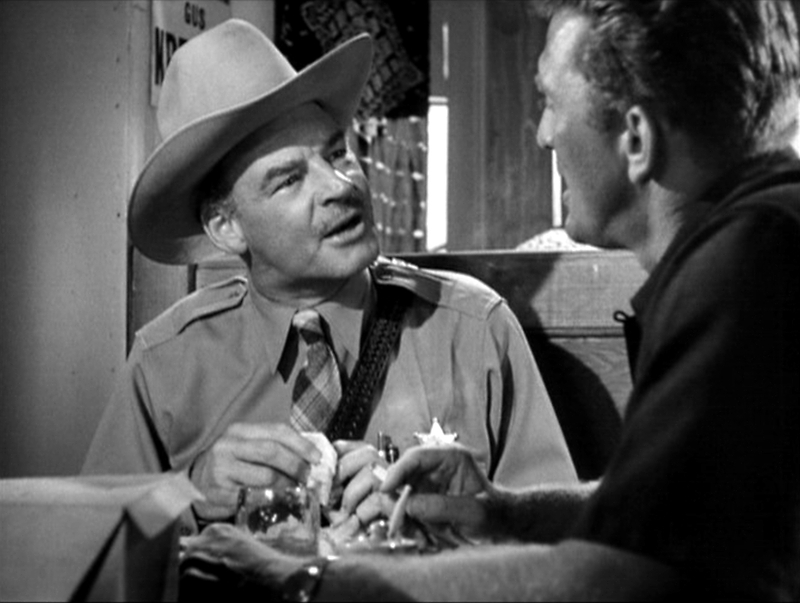 Camera: Charles Lang. 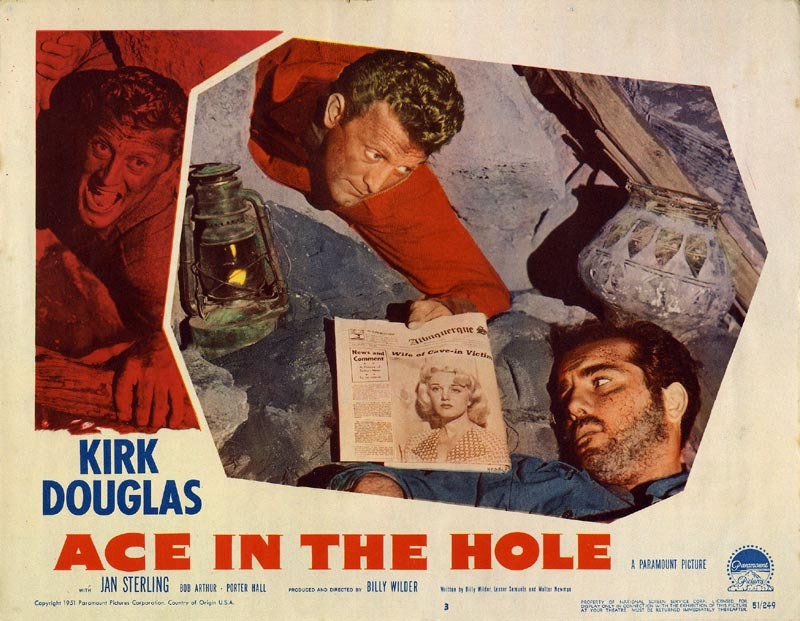 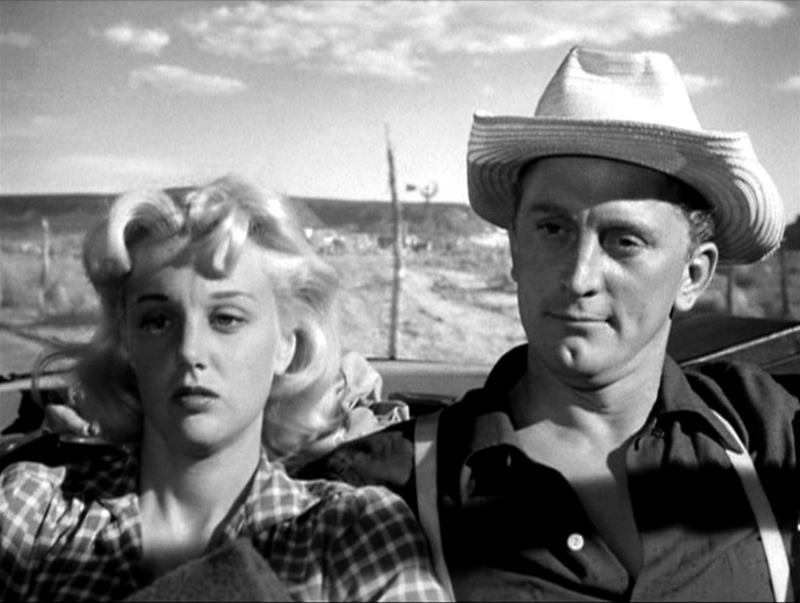 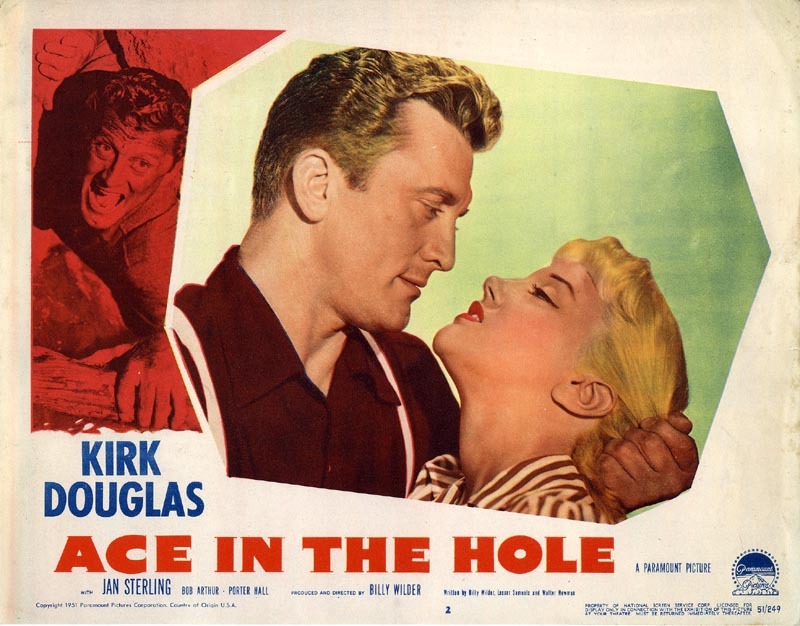 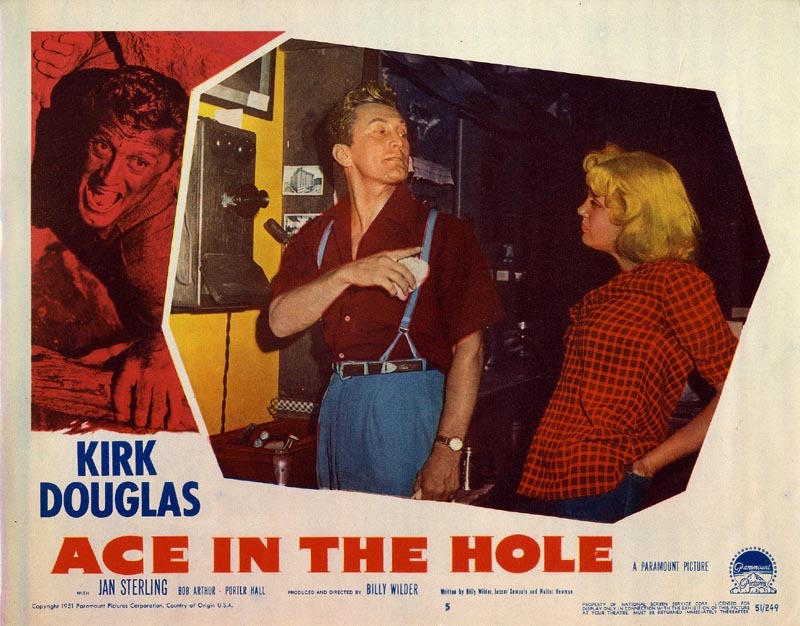 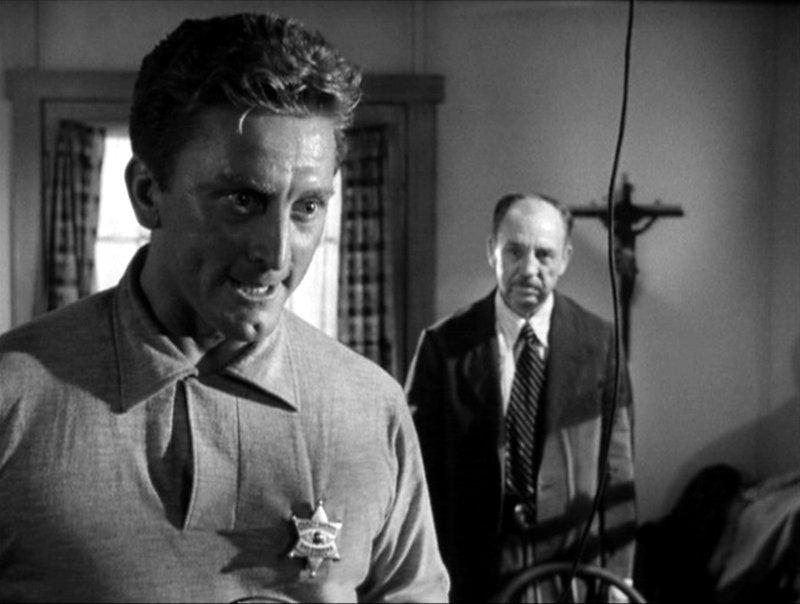 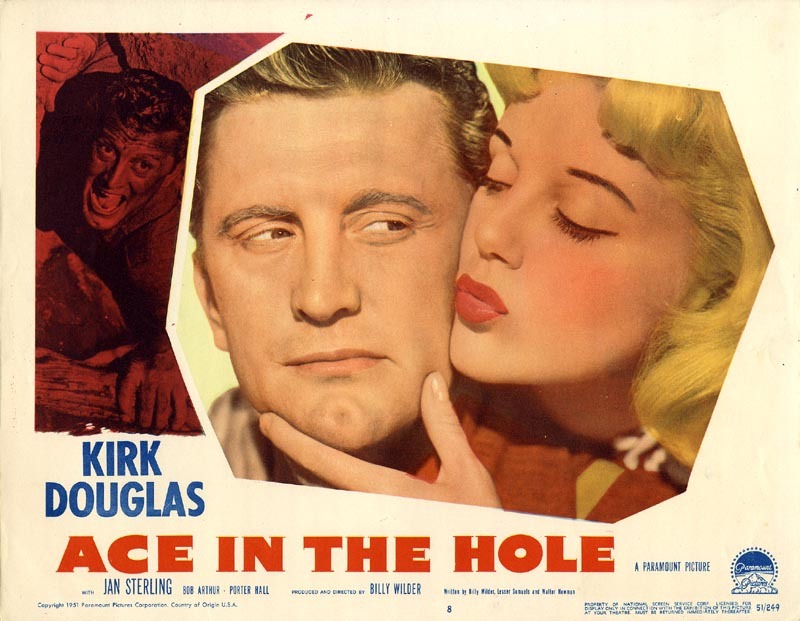 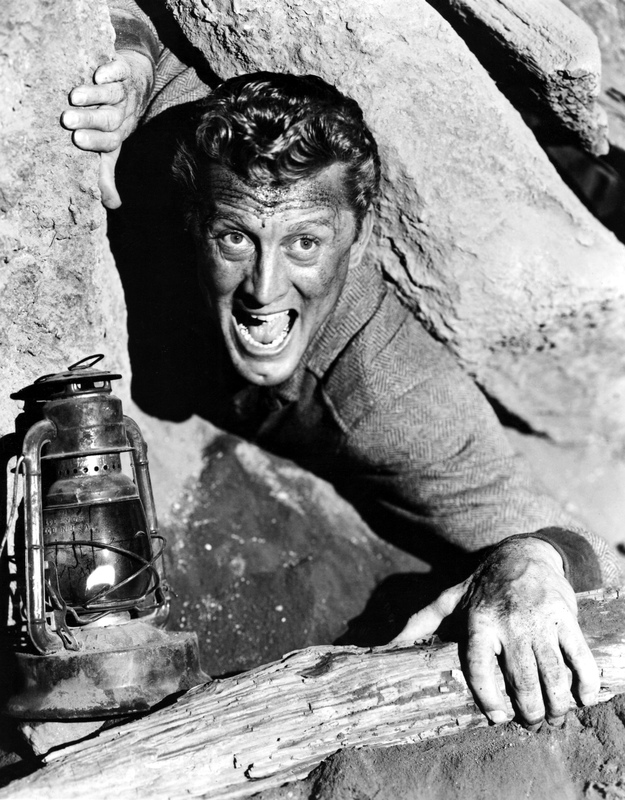 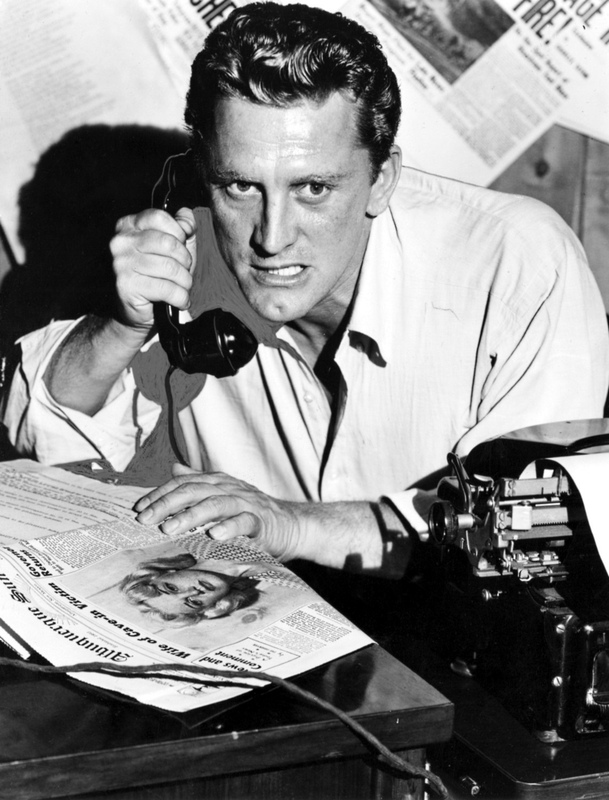 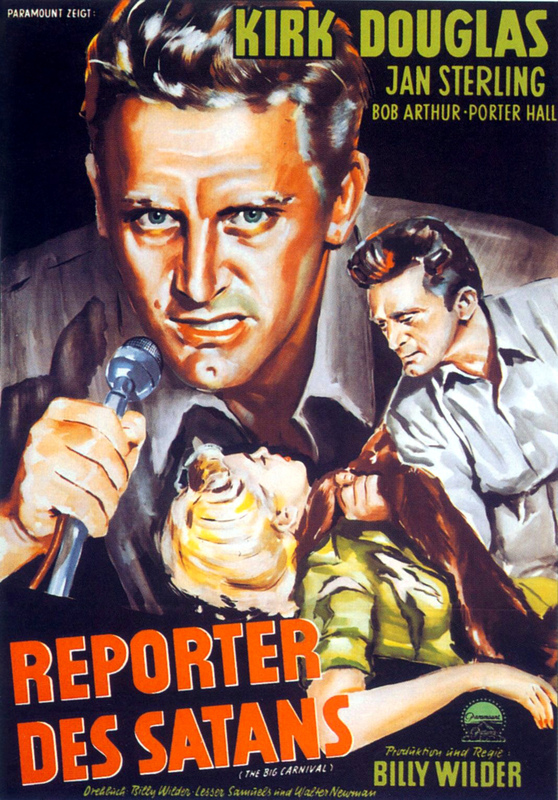 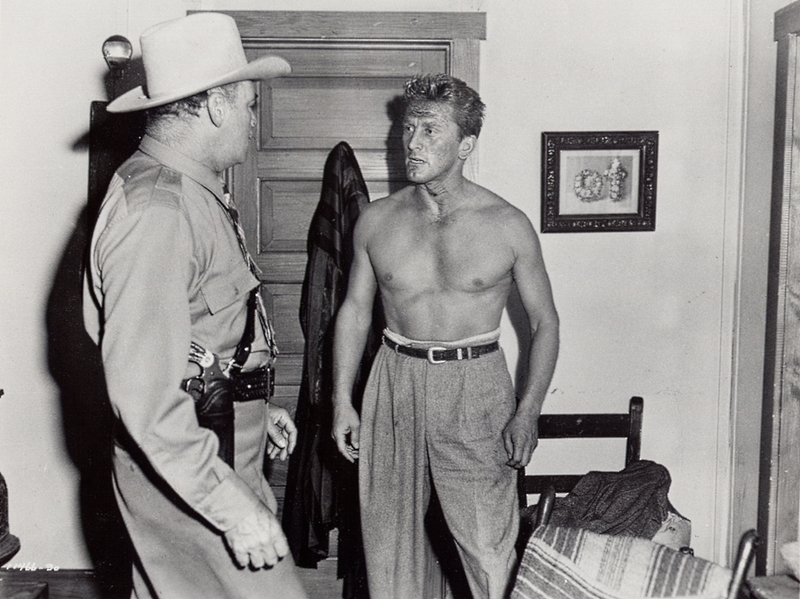 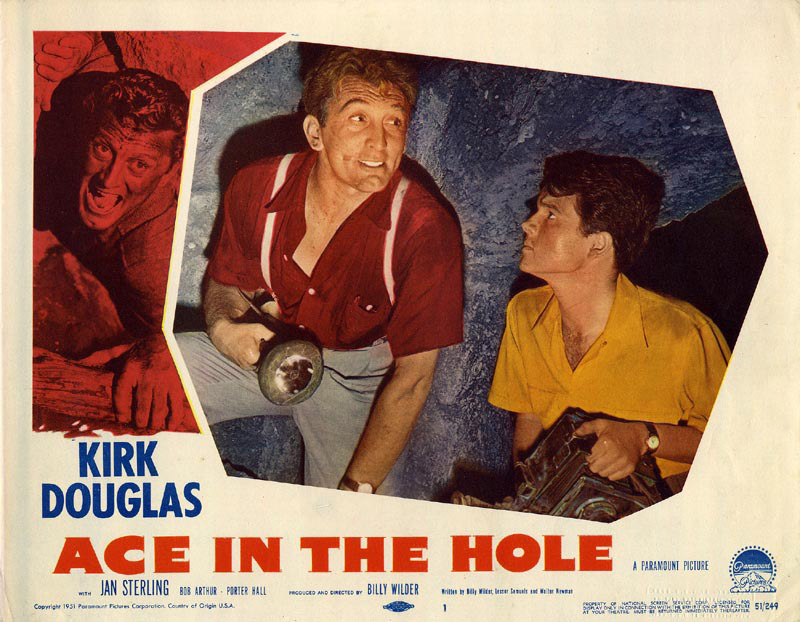 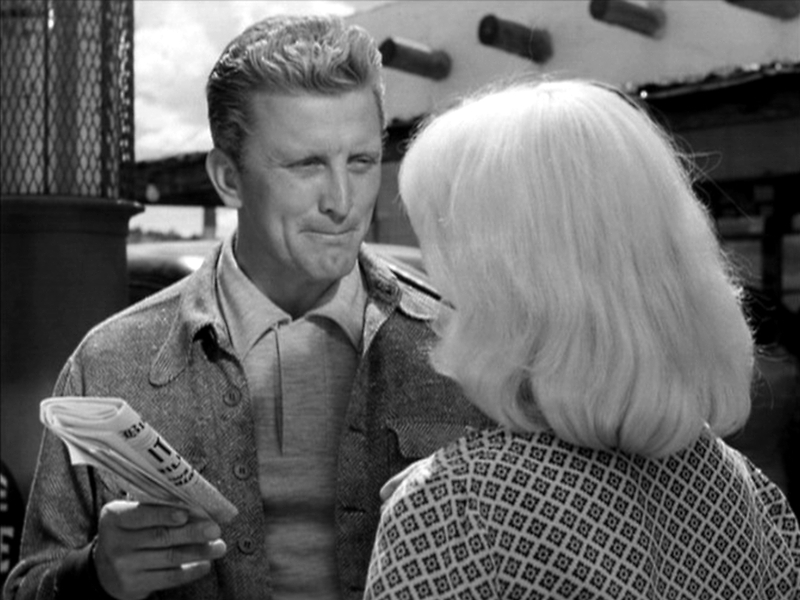 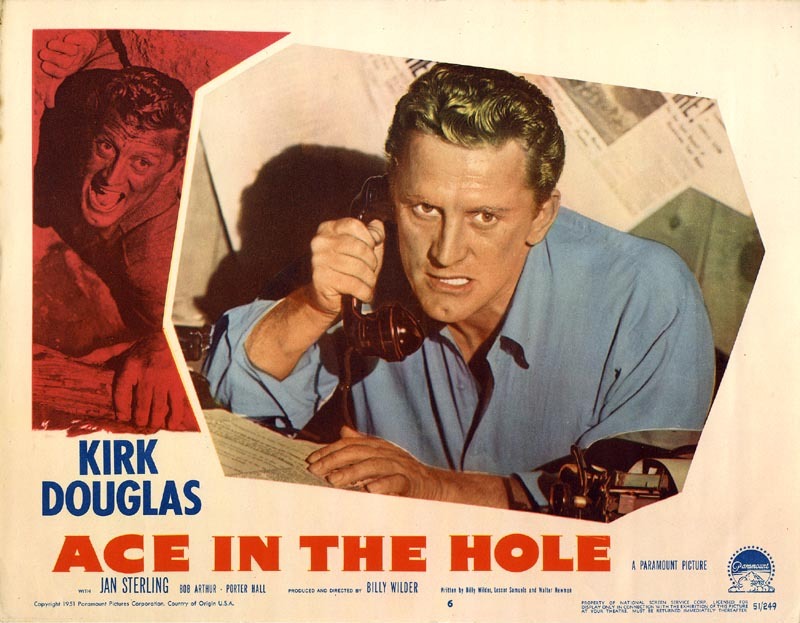 With Kirk Douglas, Jan Sterling, Bob Arthur, Porter Hall, Frank Cady, Richard Benedict, Ray Teal, Lewis Martin, John Berkes, Frances Dominguez, Gene Evans, Frank Jaquet, Harry Harvey, Bob Bumpas, Geraldine Hall, Richard Gaines, Paul D. Merrill, Stewart Kirk Clawson, John Stuart Fulton, Bob Kortman.